Rising Scottish artist Ess_Gee releases her debut single, “Bubble Queen” on Single Track Records. 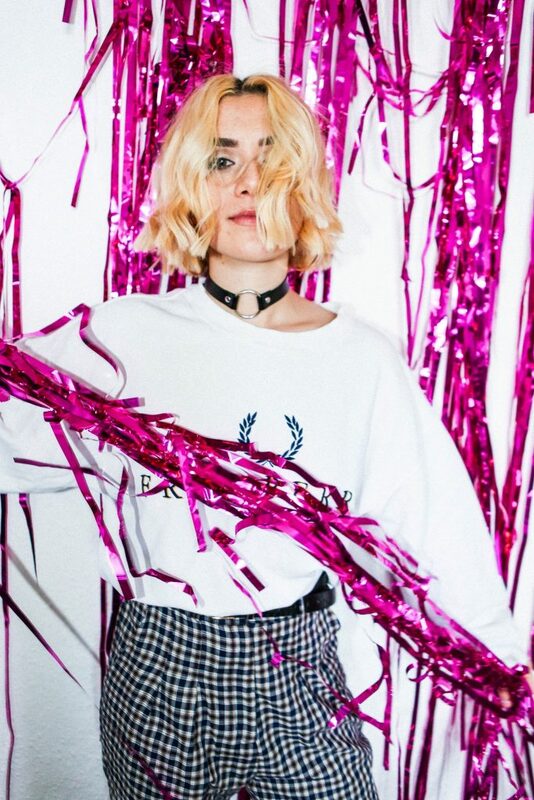 Emerging Scottish artist Ess_Gee has released her debut single ‘Bubble Queen’ and it’s a glorious upbeat and infectious synth-pop track about the power of friendship, love and loss. The Glasgow-based songwriter and musician, real-name Shanine Gallagher, worked on the track – the first she wrote following the tragic passing of a close friend – with producer Joe McAlinden from Single Track Records. Inspired by acts including Wolf Alice, Chromatics, Desire and Pure Bathing Culture, Ess_Gee’s music fuses pop, electronica, shoegaze and indie, with songs about friendship and survival whilst also drawing on the mood of her rural birthplace in Lochaline in the Scottish Highlands. ‘Bubble Queen’ is the first track showcasing her promising talent as a songwriter with plans to release more singles later this year. Single Track Records is a joint venture between Joe McAlinden (Superstar) and music management company ie:music. ‘Bubble Queen’ is the debut release on the new label, which is based in Strachur, Argyll, on the west coast of Scotland.